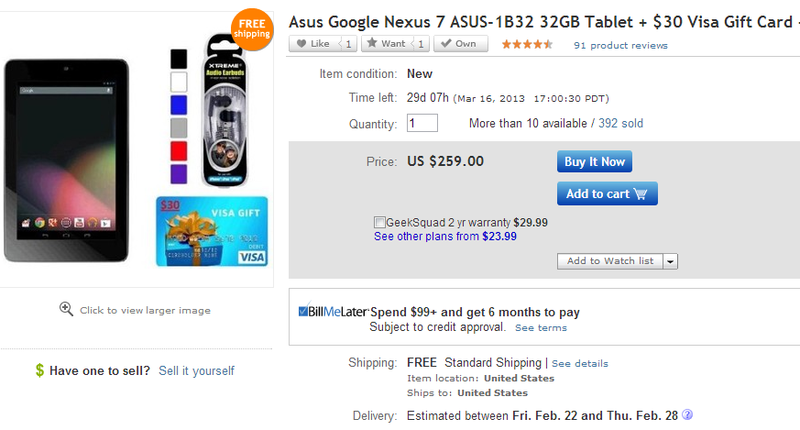 Looking to score a new Nexus 7 with some other goodies thrown in, all for just $259? If you head over to eBay, one seller (with a good seller rating) , Buydig, is bundling a new 32GB Nexus 7 with some Xtreme audio ear buds, a $30 Visa gift card, and free shipping to top it off. Sounds like a #win in my book. If eBay deals are your cup of tea, get on it.